Welcome to the HTS Physician Quality Reporting System (PQRS) blog, where we will share information on the CMS PQRS Program. This blog will help clarify PQRS eligibility and requirements, the value-based modifier program as well as the quality and cost measure information contained in the confidential quality and resource use reports (QRURs) along with helpful advice, tips and best practices. November 17, 2016: HTS – PQRS: How Does Your PQRS Data Look? September 11, 2016: HTS – PQRS: Are higher scores better for PQRS measures? 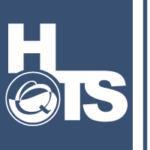 July 22, 2016: HTS – PQRS: New to quality reporting or need a refresher? July 15, 2016: HTS – PQRS: What’s in my QRUR? July 7, 2016: HTS – PQRS: Group or Individual Reporting – The Decision is over! July 1, 2016: HTS – PQRS: Where can I find information on current PQRS participation and payment adjustments? May 1, 2016: HTS – PQRS: Do You Need an EIDM Account? 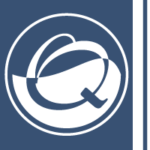 April 10, 2016: HTS – PQRS: Need help finding the 2016 eCQM updates for EHs and EPs? March 3, 2016: HTS – PQRS: Who is eligible and affected by the Value Modifier Program in 2016?